Caulfield Cup Day will always be a memorable day for all at Alderson Racing. There has been some reminiscing during the week of the glory days when Sky Heights claimed the Cup in 1999, and we are hoping to be back in the winners room as SIZZLEME heads around in R5 the Group 3 New Zealand Bloodstock Etheral Stakes today. 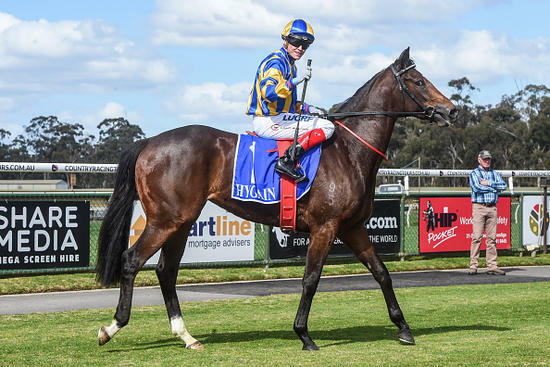 Over 2000m, the trip should suit this staying-type Sizzling filly. We have blinkers on for the first time which should sharpen her up nicely. Carrying 55kgs in this 3YO fillies race, Ben Melham takes the ride. Having trialled well at Cranbourne earlier this month, coupled with working well in her trackwork at home, leaves us confident heading into this race. As always, we will need some luck in running as no race this far into the Spring is easily won. Best of luck to all the owners.